I was Up and ready to go from my hosts house by 8am. It was a wonderful stay even if Bill was up and away fishing by 4.00am both Marilynn and Bill were wonderful hosts. 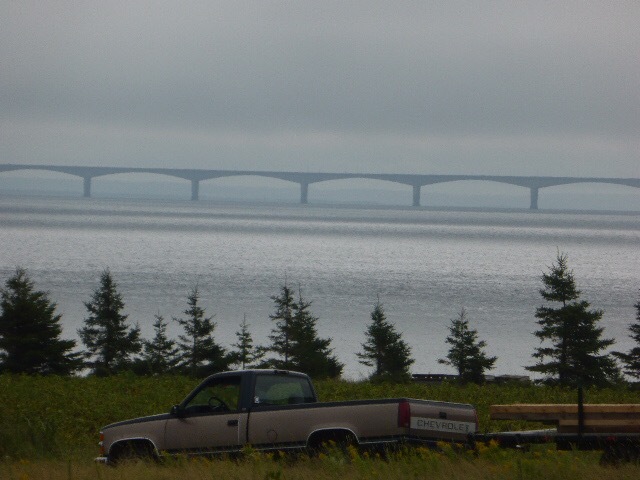 I took the Arcadian Way hwy 955 and wended my way towards the bridge called the confederation bridge. Enroute there I was stopped by a fellow cyclists who had come out from his house to ask about my journey thanks for taking the time Dale. Cyclists and foot passengers have to wait to be transfer by bus across the 9 mile bridge. 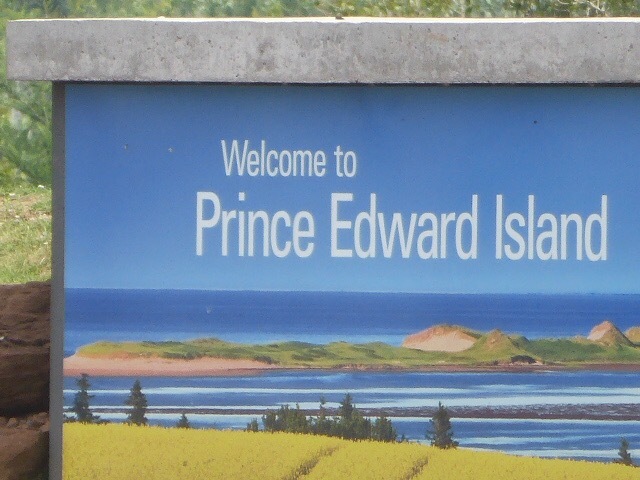 I waited about 20 mins at the tourist office New Brunswick then crossed and went into Prince Edward Islands info centre to get a few new maps and info on the island. Views enroute to the bridge. 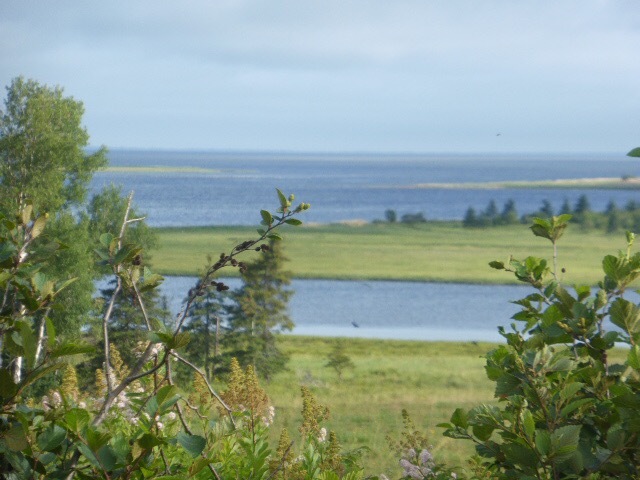 After I left the info station I headed out on Hwy 10 westwards and tomorrow I will head towards the North Coast taking in some of the sites this is because I’m ahead of schedule and have time to have a look around this weekend. The weather is suppose to get hotter so I think I’ll go to the beaches. PEI one side has red sands south side and white sands on the north side. Also it is farm land with lots of potatoes and other crops. It is also very quaint and pretty well what I’ve seen so far so heading to green gables area tomorrow and possibly ride the confederation trails if they are ok.
Another Province only Nova Scotia left for me to complete on this journey. Today I’m also covered in mosquito bites they came out in force yesterday after the rain then the humid heat they even bit through my clothing hopefully the bites will clear quickly. 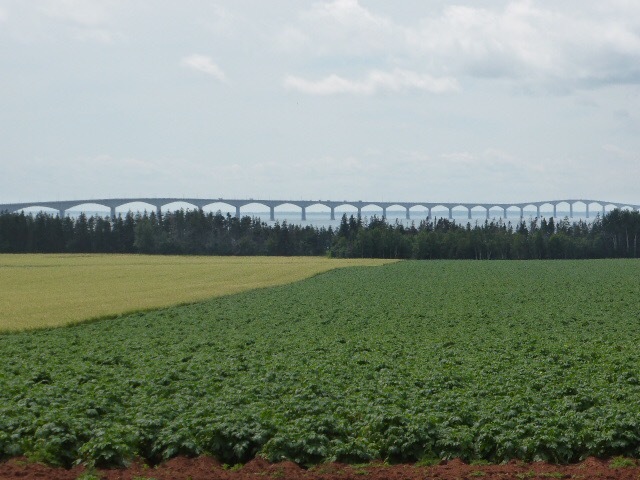 Hi Liz:) PEI is just awesome and you said you are going to Green Gables. There is a shop there with many hats. I tried one on last summer while there with my sister and we took some photos with us trying the hats on..so much fun.. If you the shop I am talking about, take a photo with you wearing one and post! I’m sure one of the sales people would take the photo for you. I updated the people I work with today to let them know how far you have gotten. I have told many people about our meeting at the bottom of 6th Street hill in Owen Sound. You wouldn’t believe how many people ask me about it now and I always tell people who don’t know yet. 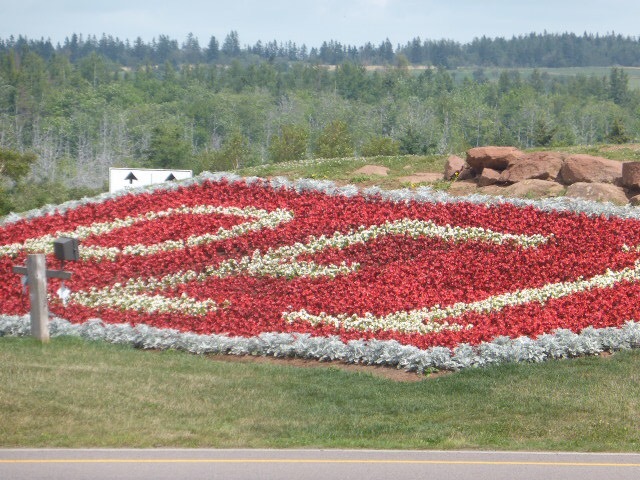 A trip into Charlottetown is would be worth seeing..it is where I would love to go back. There is an Irish Pubs-restaurant with entertainment worth checking out in down town Charlottetown. Hope you have a ton of fun on the Island!